There's a long standing joke amongst those who know me that I hate teal. Actually, I don't, but I also don't LOVE it, although I am expecting to experiment with it more come the Winter. Soooooo ... hold on to your hats - I just found a teal that I like. No, strike that, a teal that I love !! 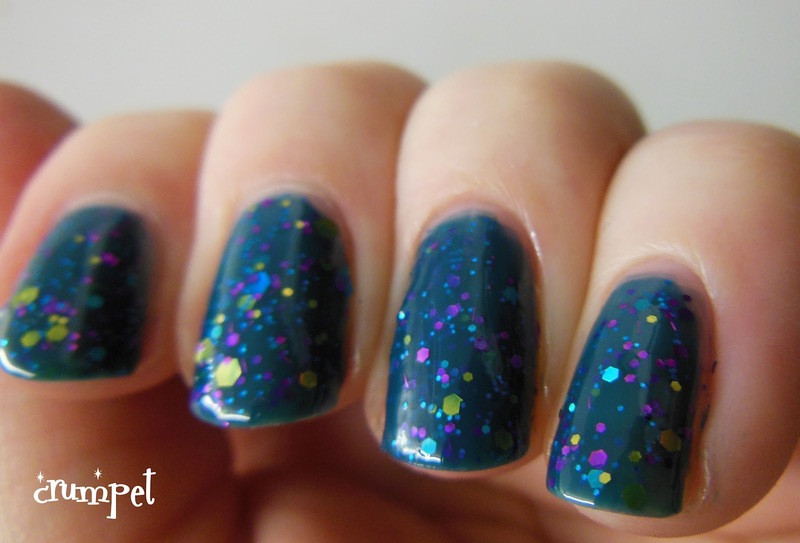 It's a Crumpet teal :) It's bright, it's glittery, it's fun, it's got a dark edge - ooooooh me do likey. 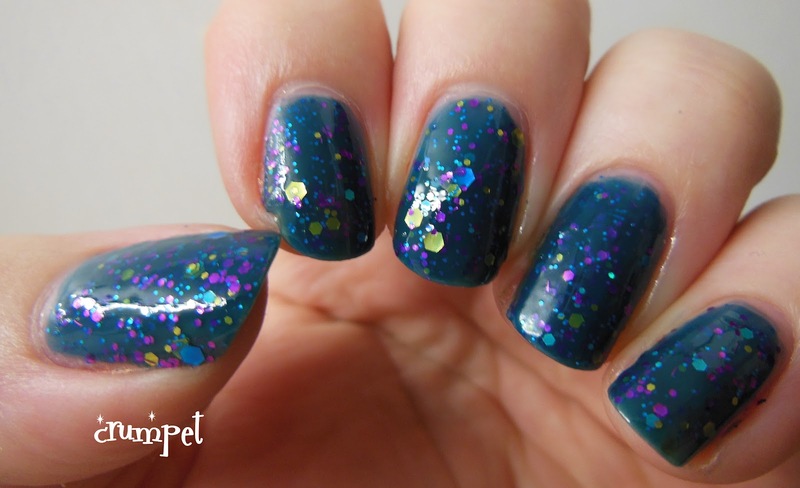 This is Don't Teal Anyone from KBShimmer's new Collection. A pure teal crelly, loaded with a glitter potion of high witchiness and potency - this has got whiffs of fuschia, turquoise and gold, and it's AMAZING. I am shocked how much I love this polish. 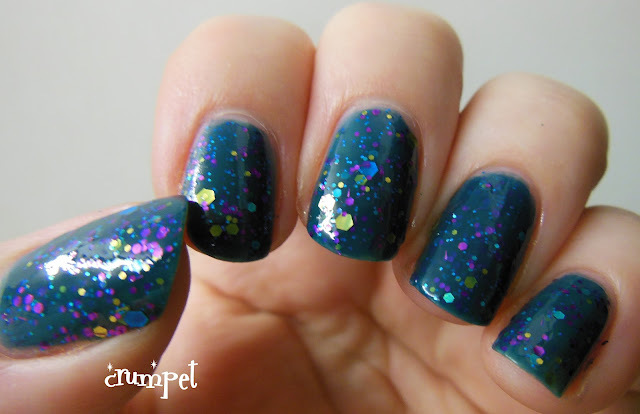 It looked gorgeous in the bottle, but I totally expected this to be one of those polishes I can "appreciate" but not totally love ... Well, bestill my witchy heart and hold the front page, Crumpet finally found a teal she loves, loves LOVES!!! A word of warning on this one - the first coat might leave you worried, it applies really thin and I got that "oh, should I have used undies" face. Well, no, I need not have worried. The 2nd coat adds about 2 coats' worth of depth to this polish. 2 coats is all you need. I am loving the dark and witchy theme to this collection, sooooo after my own heart, and I love that my inner witch has now found the perfect malignant green with with to bewitch and cast spells - love it! These products were provided to me for an honest review.